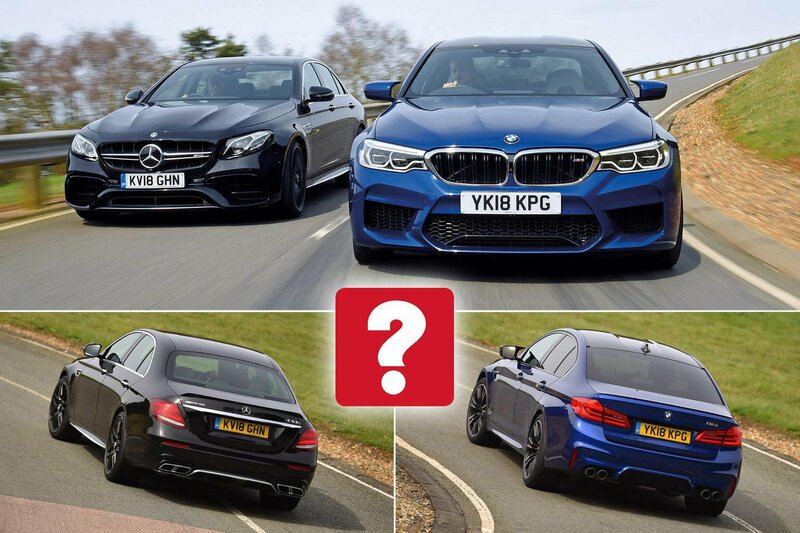 New BMW M5 vs Mercedes-AMG E63 S | What Car? 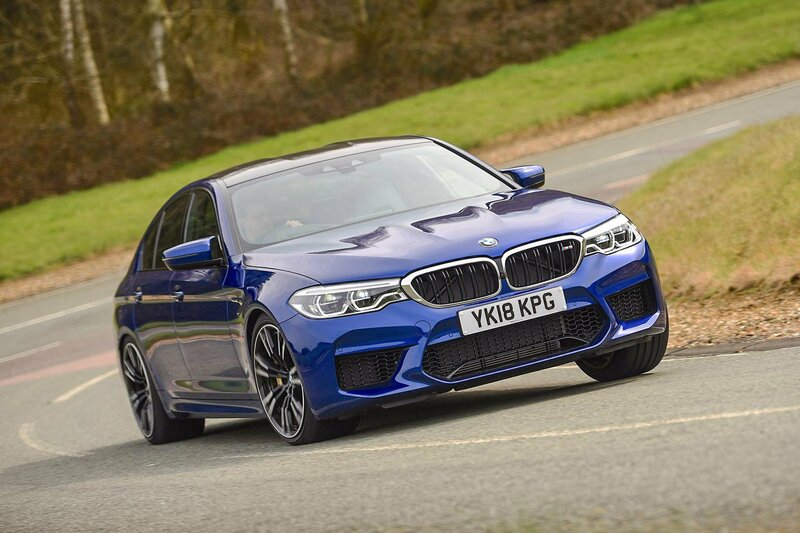 M5’s understated looks conceal scorching performance and, for the first time, four-wheel drive. 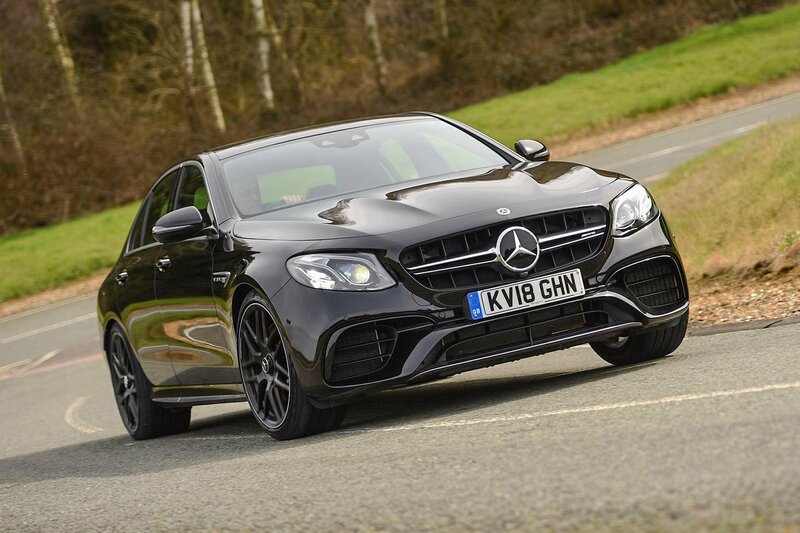 Mercedes-AMG knows fast saloons inside out; the lairy E63 S will be tough to beat. Imagine ten Volkswagen Ups parked side by side. Now imagine the engines of said Ups all working furiously in unison. Even then, they still wouldn’t be producing as much power as either of these turbocharged V8 super-saloons. 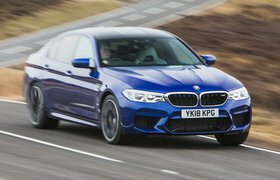 That’s right: the new BMW M5 and the Mercedes-AMG E63 S both pump out around 600bhp, but there’s a crucial difference in the way this power is transferred to the road compared with their predecessors, because both cars now have four-wheel drive. That ensures as much power is put down on the road as possible and should also bring extra reassurance on soggy back-road blasts. All that power, technology and luxury doesn’t come cheap: each car costs nearly £90,000. But if you’re lucky enough to have that budget, which should be claiming your hard-earned cash? The BMW’s 4.4-litre V8 is slightly less powerful (592bhp versus 603bhp) than the Mercedes’ 4.0-litre V8 and has less low-down shove. But both cars can manage a launch-controlled sprint from 0-60mph in a blistering 3.2sec. If you can find an unused runway, the BMW will carry on to 100mph in 7.3sec – just 0.1sec quicker than the Mercedes. Given each weighs the best part of two tonnes, that’s a staggering feat, helped by incredible four-wheel drive traction away from the line. Both cars’ standard automatic gearboxes work well in their manual modes, although the BMW’s eight-speed unit is slightly quicker to respond to paddle pulls and slicker than the Mercedes’ nine-speeder when driven in automatic mode. The Mercedes counters with an exhaust note that has a natural and guttural quality, creating a sense of occasion that those interested in these cars crave – and will miss in the more restrained and synthetic-sounding BMW. These cars may be hefty, but they manage to feel surprisingly light in corners. Wide front tyres and taut body control ensure that both the BMW and Mercedes turn in eagerly, but with both in their most aggressive driving modes, it’s the BMW that grips hardest, has the better brake pedal feel and is more stable when stopping hard, making it quicker around a lap of our track. But the Mercedes isn’t far behind, and while you can’t place it quite as precisely through bends, it has more natural-feeling steering and there’s more fun to be had with its playful yet predictable approach to cornering. The Mercedes has a more comfortable high-speed ride, too. Its standard air suspension struggles to contain particularly bad ruts and potholes at low speeds, but on the motorway, in its Comfort driving mode, it does a grand job of wafting you along. The BMW, on its steel springs, is better controlled at low speeds over the same scars, but it’s noticeably firmer all of the time, jostling its occupants around. It’s a shame, then, that the Mercedes is far noisier than the BMW, producing noticeable road and suspension noise.